Using a pin board is a great way to highlight important information for your staff, customers or club members. Simple pin fixings make it easy to arrange your display, and to change it fast. If you need high quality, great value display boards, our range of pin boards for sale on our site offer the ideal solution for your needs. What makes our company display boards so good? If you’ve already decided you need to buy pinboards for your company or organisation, these locking display boards are the perfect choice. Talk to our team today if you have any questions on our products, or if you need help deciding which one is right for you. Who loves our company display boards? Educational institutions: Schools, colleges and training providers find our fabric notice boards the ideal solution to sharing information like timetables, notices and photographs. Healthcare providers: Working in healthcare often means everyone is in the building at different times, but with a pin board from Valentino’s Displays, it’s easy to get the message to everyone. Offices: Even if you’re moving to a paperless office, there’s always that one employee who doesn’t read your emails. Make sure nobody misses the important information when you buy pinboards from us. Restaurants and hotels: Customers love to check out your menu, room rates and other information before committing to entering the building. With our fabric pin boards, you can safely and securely display all the crucial information outside, whatever the weather. Community groups and membership organisations: When different people use a community building at different times, it’s crucial to maintain a line of communication between everyone. Our notice boards give you an easy, secure way to spread those important messages, with only the keyholder having access to the contents. Many other businesses and organisations have benefitted from our range of fabric notice boards. 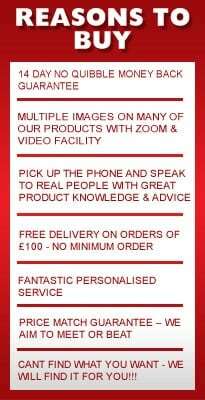 We can supply our products UK wide, and are proud to offer the same great customer service and value for money whether you want to order one unit or a hundred. Trust Valentino’s Displays to bring you the best pin boards for sale in the UK today. Try before you buy with our 14 day no quibble returns policy, and shop with confidence knowing that we’re the number one display equipment supplier in the UK today.